Anyone interested in, or learning to play Irish Music, will be inspired by experiencing the music live, to sit at the elbow of a master musician such as Martin Hayes playing a set of reels is an experience not to be missed and never forgotten. Unfortunately for those of us who live in the East it is a long trip to Ireland and the home of Irish music however there are some excellent musicians close at hand. 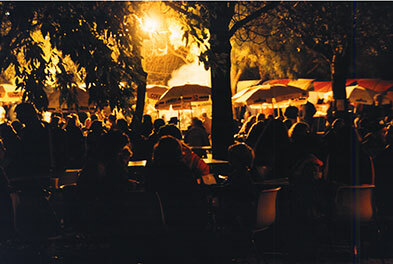 Every year the National Folk Festival is held in Canberra, the capital of Australia. This is a festival reknowned among players of traditional music as a place to go to meet their friends, to see some excellent performances, attend some workshops or perhaps the master classes that are held each year, to swap some tunes or learn some skills and join some sessions with the best musicians in this half of the world. Australia's Annual Celebration of Cultural Heritage. The National Folk Festival presents an inspiring programme designed to inspire, enliven and entertain. It boasts an A-list of performers from Australia and around the world including everything from high-end entertainment to the expression of folk-life through grassroots and community activities, the National Folk Festival is the ultimate celebration of cultural identity. From traditional and contemporary grooves to the quirky and the endearing it features all the key elements that make people want to come from everywhere to be part of it. 18 venues provide a range of concert experiences from our big stages to more intimate spaces where you can enjoy a more up-close experience with our performers. The festival site becomes a vibrant village with a strong sense of community and is populated with themed bars, food and market stalls, circus performers and roving musicians and our multi-disciplinary program is broad and innovative boasting an A-list of performers from Australia and the world. Traditional Music at the National. An important part of the festival is the session bar, a dedicated place where musicians meet to play music together. The acoustics are excellent making it possible for may session to run simultaneously. The maximum number of sessions running simultaneously in the bar stands at 11 with many different types of music being represented including Irish, Australian, English and Bluegrass. Top flight performers join the sessions as an integral part of the festival. In addition the festival offers workshops during the festival programme and several days of master classes before the festival starts offering the opportunity to learn first hand from some of the world's leading musicians.